Whisk dressing ingredients together until blended. Makes about 1 cup dressing. 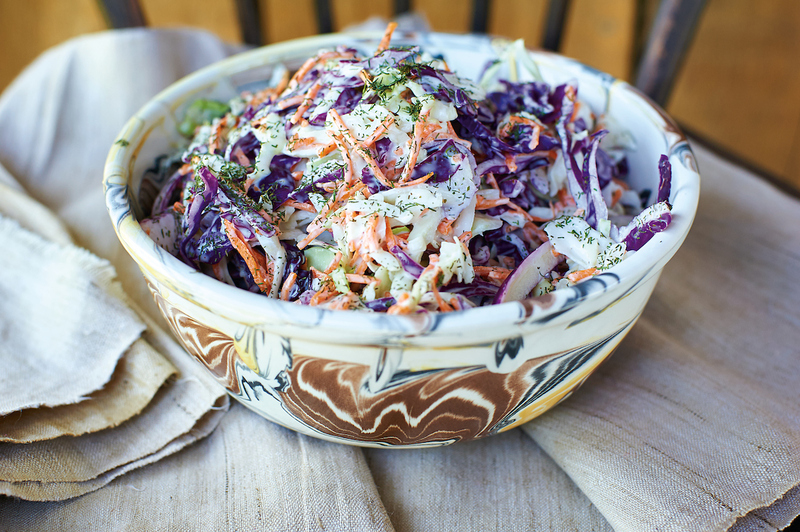 COLESLAW: Combine shredded white and red cabbage with shredded carrots. Pour ½ cup dressing over cabbage mixture and toss to mix well. Add more dressing until desired consistency is achieved.